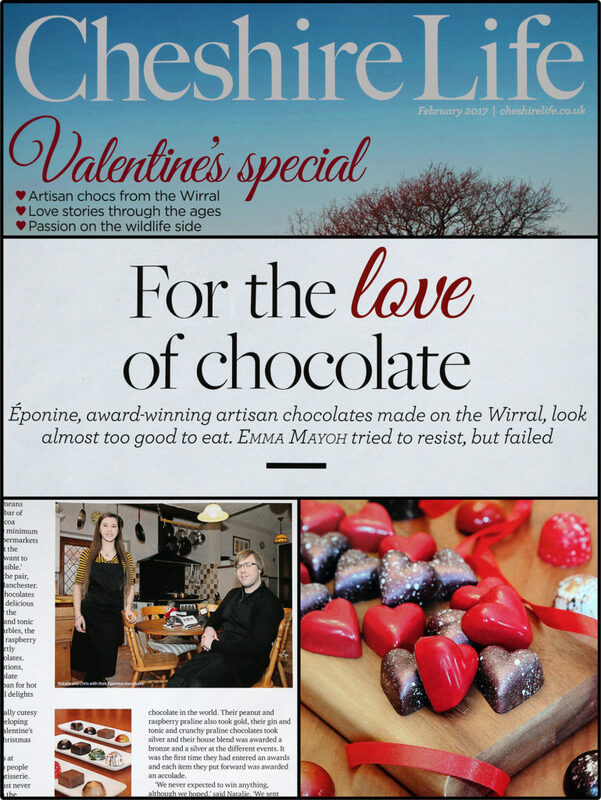 Last month we were visited by the lovely Emma Mayoh (journalist) and Kirsty Thompson (photographer) for an article about our Valentine’s Day chocolates. We had been on the radio before, but this was our first proper journalist interview, and it was a bit strange chatting away whilst the incomprehensible hieroglyphics of shorthand were being scribbled into a notepad opposite you. We just had to cross our fingers and hope we didn’t say something stupid that would be preserved in print for all eternity! Alongside the interview, Kirsty did an awesome job of arranging and photographing our chocolates, making everything look very love/heart themed and strategically avoiding the Christmas decorations in the background (it was the first week of January… we aren’t just super slow at taking them down… honest). We’d like to express our thanks to both Emma and Kirsty for coming out to visit us, and translating our ramblings into a couple of lovely articles. We were very grateful that they were able to capture our ethos and passion, and we’ve already had some wonderful feedback from customers. Do let us know if you’ve seen and read either article – we’d love to hear what you think! P.S. 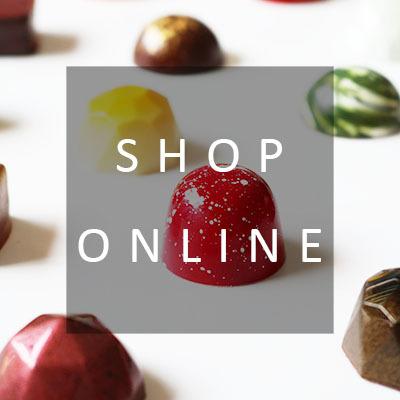 If you want to have all the news, promotions and exclusive competitions delivered directly to your inbox, don’t forget to sign up to receive our newsletters using the form below.